All prices on this website are shown in Australian dollars. Delivery time is estimated at 3-7 working days depending on your location (regional addresses may have a longer delivery time than metro). We offer free standard delivery on all Australian and New Zealand orders. Delivery time is estimated at 8-10 working days depending on your location. Standard delivery is $30 to all locations outside of Australia and New Zealand. We currently ship to most international destinations, excluding Hong Kong, Russia and Greece, where we have local stockists. To check if we ship to your country, please contact our customer service team. International orders: Important! Please note: When you order products from Ultraceuticals for delivery outside Australia you may be subject to import duties and taxes, which are levied when the products reach their destination. Any customs charges must be borne by you. Ultraceuticals has no control over such charges. Customs policies vary widely from country to country, so you should contact your local customs office for further information. Please also be aware that when you order products from Ultraceuticals for delivery outside Australia, you are considered the importer of record. You must ensure that the products you order comply with all laws, restrictions and regulations of the country in which you are receiving them. Your privacy is important to us and our international customers should be aware that cross-border deliveries may be opened and inspected by customs authorities. Ultraceuticals accepts payment by Paypal, Visa, Mastercard, American Express and Afterpay. The name Ultraceuticals Pty Ltd will be recorded on your credit card statement. Your order will be sent via Australia Post. When your parcel is dispatched, you will receive an email with a link that allows you to track your order via the Australia Post website. We require a signature of receipt for your online order - for this reason, we recommend you ship to your business address if you are not at home during business hours. If you are not in at the time of delivery, Australia Post will leave a calling card at your address, and you will then need to collect the package from a post office. It is always important to use products as directed on the label. 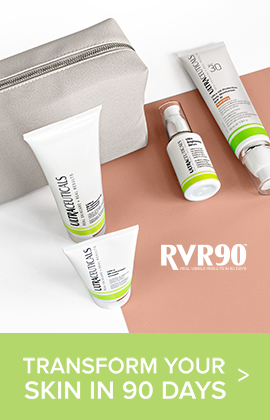 In the unlikely case that your skin becomes irritated or shows signs of an allergic reaction please stop using the product immediately and contact us to speak to one of our skin therapists. If our skin therapist identifies that the product purchased caused a skin reaction we will exchange the item for another product. Allergy returns must not be more than 20% used and must be reported within 14 days of purchase. If you wish to cancel your order before it has shipped, please contact our Customer Service team as soon as possible. If you are not completely happy with your received purchase, please return your unopened goods to Ultraceuticals within 14 days of purchase for a full refund. Unfortunately, we cannot issue a refund on any goods that have been opened unless faulty. Please note we cannot accept returns of Clearance items. Our Ultra CC range products are non-refundable for hygiene reasons. We recommend visiting a trained Ultraceuticals skincare professional for a thorough skin diagnosis before purchasing and using our products. 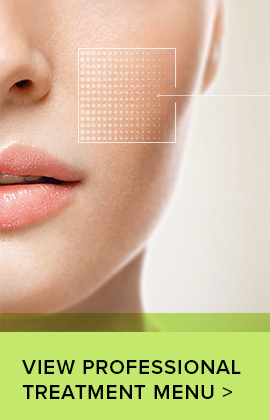 If this is not convenient for you, you can also book an online Skype consultation with our Ultraceuticals skin experts. Book a Skype consultation here. Ultraceuticals has trained authorised stockists in leading skin clinics and selected David Jones stores across Australia and New Zealand. Find your nearest stockist here. We are also stocked in Hong Kong, Russia and Greece. For more information on international stockists, please contact us. Didn’t find the answer to your question? See our Frequently Asked Questions here or contact us here.